There is a common excuse that I hear often. Eating healthy costs too much money. Actually, healthy foods and eating can be good for your family, body and wallet. To make the most of your desire to have a healthy lifestyle, you need to purchase smart. There are companies, websites and information available to make healthy living easy on your wallet as well as good for your. 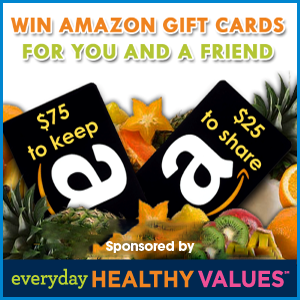 Everyday Healthy Values is an online community that brings together better-for-me product coupons, including healthier options in food categories that may not be traditionally viewed as healthy. A study shows almost half of Americans think it is easier to do their taxes than figure out how eat healthy. Healthy eating can be tough. Some people feel it is expensive. And with so many options to choose from, many people are seeking guidance on what is healthier. Everyday Healthy Values helps make it easier to save and eat better. No more searching lots of places for healthy options. 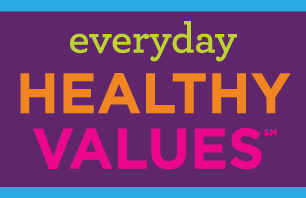 Visit Everyday Healthy Values for savings on your favorite healthier food options and products. The Giveaway will open up on 3/12 12:01 am EST and Close on 3/15 at 11:59 pm EST. 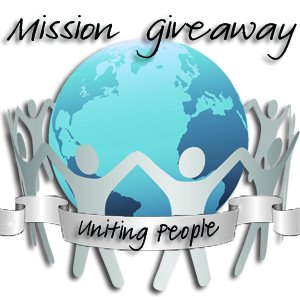 Complete the entry on the Rafflecopter below. I love the prize this week!! Thanks! I love Amazon! Thanks for the chance to win!